Before I start any project, I always search the web for an ideal pattern. If I don’t find the perfect pattern for what I need, I will design one. 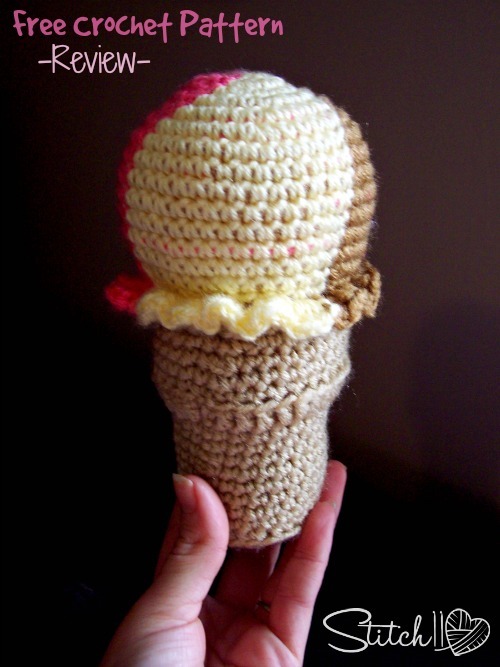 Lucky for me, Crochet Cake Sachet’s designed the perfect scoop of ice cream on a cone. Fetch your copy of the free crochet pattern HERE. The pattern was flawless. It was very easy to follow the 3 color option too! The ice cream and cone turned out slightly larger than I expected… but not much. 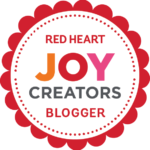 If I would have used Caron Simply Soft instead of Red Heart Super Saver, and a smaller hook, I am betting it would have turned out more like the designer’s photo. I am very happy with the size and outcome though! Thank you Crochet Cake Sachet’s for designing the perfect ice cream crochet pattern! Okay, I have to say it….This is SWEET!!! Thanks for sharing this awesome pattern! !